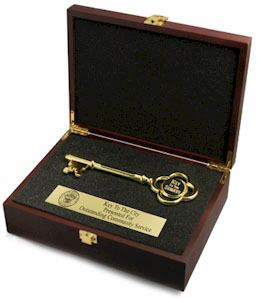 Proudly present your key to the city in our exquisite 8 inch rosewood display box. 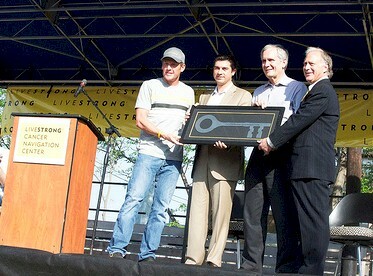 This amazing rosewood hand crafted box will make a great display for Key to the City event. 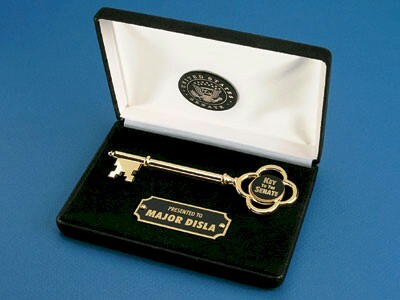 - 6" x 4" Black Presentation Box with 5 1/2" Gold Key. 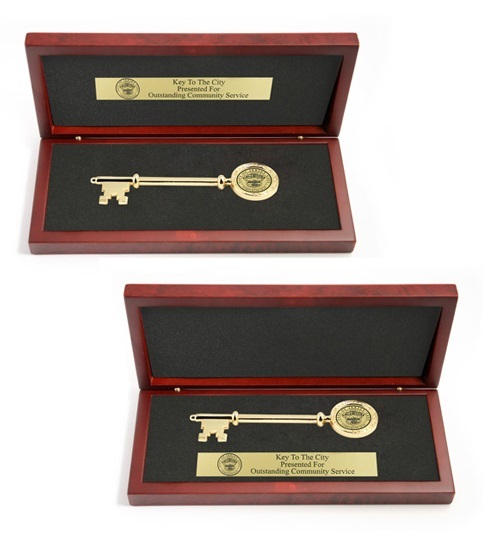 Proudly display your giant ceremonial key or scissors with our new walnut custom display cases. 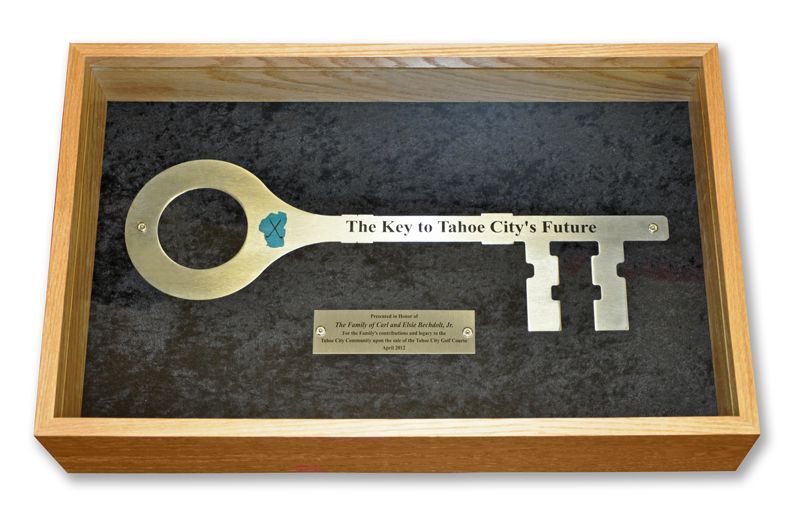 Now you can frame your key to the city or giant scissors with our custom black wood display case with glass. 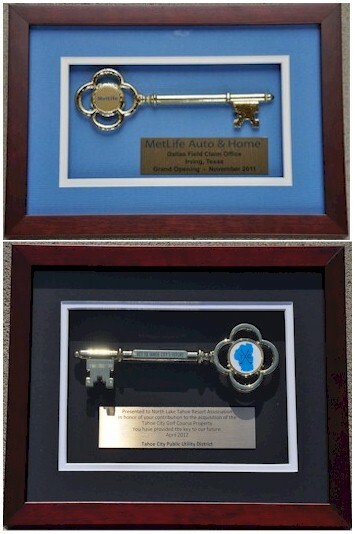 We will help you create a beautiful shadowbox with matting to encase your custom key award.